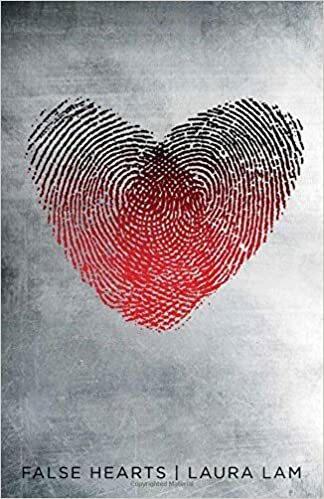 Laura Lam‘s latest novel, False Hearts, is a departure from her previous YA fantasy series. It’s a fast-paced sci-fi techno-thriller, and awesome hyphenated adjectives are the least of its strengths. This book is a serious page turner. Once I started reading, I could hardly put it down. It more than met my need for a riveting, all-consuming read. More than that, it has a wealth of elements I adored. It’s science fiction. It’s a mystery thriller. It’s packed with fascinating, well-constructed techno marvels. It’s set in San Francisco. It deals with issues of consciousness. It’s set against the background of a secretive religious cult. It has grey areas aplenty. And best of all, it features a pair of awesome protagonists with a highly unique perspective on life. Taema and Tila are twins. More than that, they were conjoined twins, separated in their teens, and still dealing with the psychological impact of having grown up with somebody else a literal part of them, having never been alone, having each of them know every single thing about the other. When they’re separated, all of that changes. The story is as much about the impact that has on each of them, and how it feels for Taema to discover that the person from whom it used to be physically impossible to keep secrets now has a massive one that threatens both of their lives. I loved the interaction between the sisters. I really enjoyed the back-and-forth narrative and the clever use of viewpoint to show the past and the present simultaneously. Taema’s chapters revolve around the present – the terrifying dilemma she finds herself in when her sister is arrested for murder. Tila’s chapters recall the past: the sisters’ upbringing in the cult that refused them treatment for their condition, and the consequences of their determination to seek help when their shared heart begins to fail. It’s a cleverly constructed novel with superb pacing throughout. The balance between the past and present viewpoints is perfect, allowing necessary insight from the twins’ past at just the right points in the present storyline. Their distinct personalities come through vibrantly, and I was rooting for each of them in turn. The story also portrays an intriguing futuristic society – an almost-utopia on the surface, with lurking dystopic menaces underneath. For a fast-paced thriller, this novel has a ton of layers. I think that’s what I loved most about it. If you love a good story with fascinating protagonists, more than one attention-grabbing setup, ample twists and turns, and action in droves, look no further. This is the droid you’re looking for.